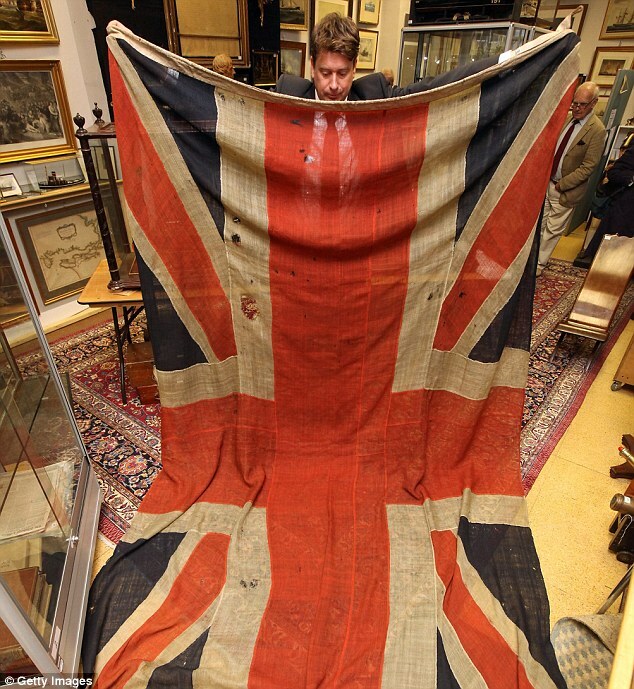 I was doing some cataloging and i cam across this mounted picture of a union flag we have. when trying to identify how old the flag itself would be (and hoping to identify it as a "war flag") I noticed that the top of the bottom left and bottom of the top right portions of the St. Patrick's Cross flush off to become parallel with the vertical portion of the St. George's Cross, rather than the horizontal portion as i keep seeing in all the other examples. So, What I would like to know is this: Given the flag ratio of about 3:5 and the odd design of the St. Patrick's Cross, how old would this flag be, what what would it have been used for? I'm hoping the Schola community can find something I may have overlooked. I like to get as much detail as possible for the items in our artifacts room. Lol, I can see that many of you are just as stumped as I am! Don't know why I was thinking of the old American jack but found this through image searching. Could the flag you show be an interwar period flag(WWI-WWII)? The first flag you posted with the slightly squared off center edges on the st. pat's saltire is a war flag, typically carried by the army, but I believe the Royal Navy may use it for flag code as well. The absolutely beautiful piece shown in the bottom picture is very similar to another one I have here. Same discolouration, and simply massive!! It is quite possible that the flag I've posted is an interwar period army flag. These flags seem to be quite rare from what little i've been able to dig up. that bottom one looks like a battle ensign it's so huge! I used to have one (pinched in the 1980s from one of HM's Frigates) - wonderful, huge, quality - I used it as a bed spread at university!